David Naylor stepped down as U of T president on Friday, ending eight years in the university’s most important office. For almost a decade, Naylor has filled the president’s office with remarkable energy and has often been in the public eye. It is hard to assess Naylor’s personal legacy, but the university has certainly benefitted from his efforts. At the time of his appointment, Naylor’s successor, Meric Gertler, emphasized Naylor’s achievements in raising U of T’s international reputation: “I am following in the footsteps of President Naylor — a leader who has combined vision, hard work, and dedication to propel the University to compete with the best institutions in the world.” Under Naylor, U of T has placed among the world’s top 20 universities in both the QS World University Rankings and the Times Higher Education World University Rankings. Although Naylor himself has questioned the accuracy and significance of university rankings, they are just one indication of U of T’s growing international standing. Naylor can claim a great deal of credit for this achievement. The “Boundless” fundraising campaign, launched in Naylor’s second term, is the largest in Canadian academic history and has bolstered the university’s global connections. Again, Naylor’s personal involvement has been substantial. Although Naylor has been good for U of T’s public image abroad, he has been less successful closer to home. Perhaps the most prominent example of this is the proposed student residence that was to be built by Knightstone Capital Management Inc. on College Street. The university’s negotiations with Toronto City Council and with community groups opposed to the proposals were less than cordial. The university released an unsigned statement accusing city councillor Adam Vaughan of “uncharacteristically threaten[ing] to use his office to damage the University’s interests in various ways,” while Harbord Village Residents’ president Rory (Gus) Sinclair threatened to “[go] to war” with the university. The incendiary back-and-forth over the residence contributed to Toronto City Council’s rejection of the proposal. It would be unfair to lay the blame for this fiasco on Naylor alone, but as president, community and public relations were part of his responsibility. It seems fortunate, then, that incoming president Gertler’s academic background is in urban geography and economics. Gertler seems well-suited to ameliorate the often-strained relationship between the university and surrounding communities. In an interview with The Globe and Mail, Gertler stated that he sees “a real opportunity for the U of T to play an expanded role in city-building, and working with civic leaders.” If U of T is to continue to expand, particularly if it is to finally build new residences, effective communication and compromise with its neighbours must be a priority. This is one promising area where Gertler has the opportunity to make his mark. There are also areas where Gertler seems poised to build on Naylor’s successes. Gertler has already helped raise $175 million towards the Boundless campaign. He seems eager to pick up where Naylor left off in the university’s fundraising efforts, saying in one interview that he enjoys fundraising. Private donations have met or exceeded expectations for several years, but this is not the only funding question that the new president will have to manage. As president, Naylor repeatedly stated that government funding is unsustainably low. In addition to expanding and improving community relations, Gertler should focus on continuing to persuade governmental bodies to invest in the university. One of Naylor’s approaches to this issue has been to emphasize entrepreneurship at the university. Gertler may well continue this, but should be cautious to prevent excessive commercialization of research and ideas. Gertler’s history as dean of the Faculty of Arts & Science means he does not assume the presidency with an entirely clean slate. 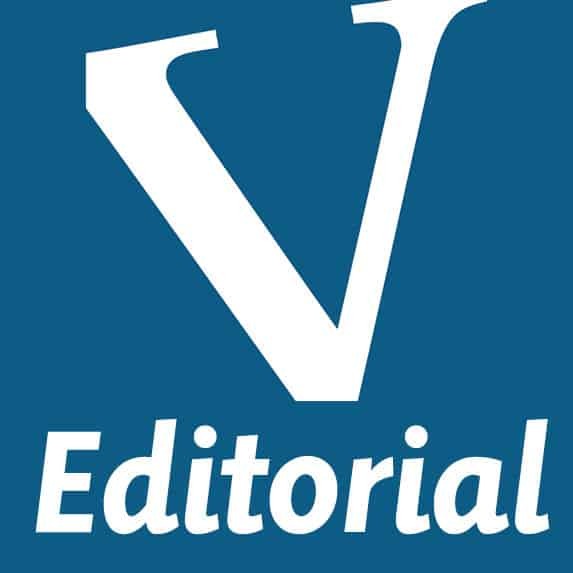 The controversial 2010 review of the faculty, which proposed major budget cuts that included the termination of the university’s Centre for Comparative Literature, drew outcry from students and faculty alike. Gertler also played a major role in implementing the university’s unpopular flat fee policy, which has been a major student grievance since it was introduced. Some tension between the university’s students and its president seems inevitable. Yet these high-profile and unpopular decisions mean Gertler could have an uphill battle to convince skeptical students of his good intentions. This should not, however, preclude constructive dialogue between the new president and student leaders. The impact of the president on the university is difficult to measure. Like any leader, the tone a president strikes and the example they offer can be as important as specific policies and initiatives. Gertler should model transparency and willingness to consult and compromise in the many challenging situations he will undoubtedly face. The university has, on the whole, been well-served by Naylor, but there is always more work to be done. Four generations of the Goldring family have attended U of T, including Judy and her brother Blake, both of whom graduated from Victoria University, and both of whom have individually donated over $1 million to the university. The Goldring family has made numerous donations to the university. The most visible signs of its generosity are the recently opened Goldring Student Centre at Victoria University and the Goldring Centre for High Performance Sport, currently under construction on Devonshire. “One of our family principles is to give back to your alma mater,” Goldring explains. As Meric Gertler takes over as U of T’s new president, Goldring is leading Governing Council during a period of change for the school, and she looks forward to the work. 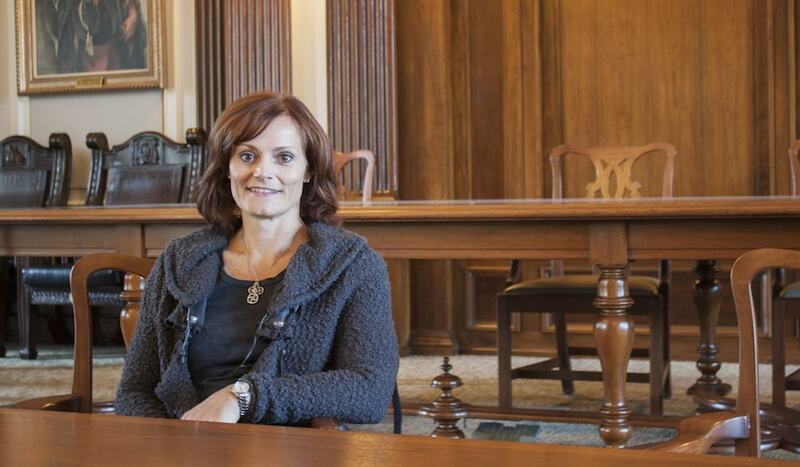 “Certainly governance, I think, can be helpful in the transition, assuring a smooth transition to support the president and the provost,” she says. “We’re also looking to support, where appropriate, on key defined advocacy issues as the president might define or the administration might define.” Goldring emphasizes that a current key policy initiative for the Governing Council is the implementation of campus councils on the Mississauga and Scarborough campuses, an effort to respond to their growth by increasing decision-making at the local level. Goldring balances her position at the university with what she drily calls her “day job” as COO of AGF Management, a $38 billion asset management company that invests money for clients without the expertise or inclination to do so themselves. Portfolio managers at the company construct investment packages in which individuals and institutions can then choose to participate. U of T itself employs AGF’s services through the University of Toronto Asset Management Corporation. “So it keeps me busy,” Goldring says of her multitude of responsibilities with a smile. The discussion eventually turns back to the business of U of T. Goldring shares what she sees as the most significant challenge for universities in Canada. “Broadly speaking, I think for all universities it’s government policy around post-secondary education and sustainability of the framework that we’re operating in,” she says. “It’s one of the more pressing issues; it’s not a new issue, and it’s not going to be solved in a day either.” Still, Goldring is excited about the opportunities for dialogue for the schools leaders going forward, and particularly expressed great confidence in president Gertler. Margaret MacMillan, one of Canada’s best-known historians, returned to Toronto this week to promote her new book The War That Ended Peace. A Toronto native and University of Toronto graduate, MacMillan was provost of Trinity College and has taught at both U of T and Ryerson. Now warden of St. Anthony’s College, Oxford, MacMillan is also a public intellectual and award-winning author. Her latest book, which addresses the causes of the First World War, is the historical prequel to her famous book on the conclusion of that war, Paris 1919. While 600 pages on international relations may not be your idea of fun, The War That Ended Peace is shockingly readable and contains broadly interesting themes. The Varsity caught up with MacMillan at Trinity College to talk about that troubled, pivotal, and ultimately calamitous moment in world history, and the lessons it can offer about the world today and the role of history. The Varsity: So, the book is 600 pages. I think for most undergraduates, even reading a 600 page book is pretty daunting. Where do you start when writing a book of this length and complexity? 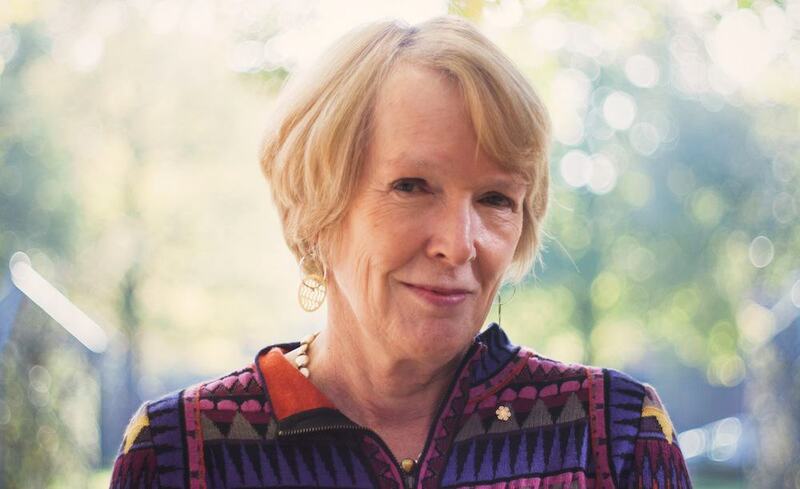 Margaret MacMillan: I never start thinking I’m going to write a 600-page book. I start trying to get an idea of what I want to say. Then, what I usually find is that you have to go back a bit to explain it, and then you have to go back a bit more. So what’s very difficult is to stop myself from going all the way back. I decided for various reasons that I had to start in the 1890s… I couldn’t understand, and I thought others couldn’t understand, why Europe went down particular paths. TV: You draw parallels between that period, 1890–1914, and President Nixon’s visit to China in 1972, which you’ve also written about. Then you draw further parallels to the present day. What do you think those major parallels are? MM: I think part of the reason I draw parallels is that it helps people to think about the past if they can relate it to what’s happening in the present. But I also find the parallels interesting. I think there is a real parallel between the world of the pre-1914 period and the world today. I mean, we’re living in a period where you have one power that has been dominant that is no longer as dominant as it was: i.e., the British Empire before the First World War and the United States now. So it’s a period of transition. You have other powers that are beginning to develop, and develop military power. For example, before the First World War it was Germany or the United States and today it’s China, Brazil, or India. We also have social unrest, we have international ideologies — both of which you also had before the First World War. I obviously don’t think the times are exactly the same, but I do think there are interesting parallels. TV: It’s interesting, of course, that the events of 1914 led to war and the events of 1972 strengthened peace. Can you identify critical differences there? MM: In 1972 the Americans and the Chinese, for their own very different reasons, decided they should talk to each other. What you had on both sides was a good will and a willingness to talk to each other. With a recognition that both had something to benefit from that improved relationship. Before 1914, you had, for example, the British and the Germans talking to each other. Though on both sides, there were some people who recognized that they had something to gain for a better relationship, there weren’t enough people. TV: You talk about the importance of colonies and how colonial tension contributed to hostilities that built up toward the war. The narrative around World War I has always focused on Europe. The only story we hear is that European powers competed for colonies and that when the war broke out the empires said, “jump” and the colonies jumped. Did you see any ways in which the actual people in colonies, like Canada, were contributing to the process that led to war? MM: No, I don’t think the people in the colonies were contributing to the process that led to war, or only as much as they were supporting the colonial power. You did have people who shared the fears of the British toward Germany, and so shared in the concern about German naval building. But I don’t think that was pressuring Britain to do anything. I think it’s really the British that are making the policy. If anything, the British felt that the colonies were not contributing to naval defense, and felt they were getting a free ride. MM: It was “Europe out,” I think. It was beginning to change, but it hadn’t changed as much as it was going to do in the ‘20s and ‘30s. Of course, what the empires were beginning to face, in different parts before 1914, were nationalist movements. But not everywhere — in a lot of the old European empires, the local people had not yet begun to organize themselves into national movements. There were certainly revolts based on religious grounds and particularist grounds in particular regions. But I think the period before 1914 was one in which it was relatively easy to have an empire, because those being ruled hadn’t yet, in most cases, begun to really become a mobilized political force. TV: And then all that changed. MM: Oh, it was changing anyway. You can see those roots already being laid down in the period before the First World War. And the war was going to give it a great stimulus. It wasn’t the same throughout the empires. There were some bits where the local people were only beginning to realize what had happened to them. They suddenly found themselves as part of the Belgian Empire, or the French Empire, or the British Empire. They hadn’t really taken it in. And they were being treated, often, as a political unit, where they hadn’t been a political unit before. Certainly, there was a lot happening at the grass roots, but a lot of it was going to really play out later on. TV: A review of your book in the London Review of Books (LRB) argued that The War that ended Peace is implicitly structured around a narrative where Germany acts and other European powers react, and that in this way it portrays Germany provoking the war. Do you agree with that characterization? MM: There’s something in it. It was written by Christopher Clarke, who is a very good German historian, and who I think feels that Germany is being treated unfairly. My sense is that he goes too far in that direction, that Germany did do some things which other powers did react to. But it wasn’t just powers reacting to what Germany was doing, it was also Germany reacting to what other powers were doing. TV: The question of responsibility is, of course, the question when it comes to First World War history. It’s almost expected that you take a position on it. And you don’t spend a lot of a time on that question. But do you think you can assign responsibility, and what are the people or factors or nations that you would assign it to? MM: I think Germany, because it’s at the centre of Europe, is very important to European stability. Bismarck, when he was in charge of Germany, managed to build a system where Germany — through a series of very skillful maneuverings and alliances — really dominated Europe. The trouble with Bismarck is that he builds a system that only a genius like Bismarck can run. The trouble with Germany is it’s at the heart of Europe; it’s very strong, it’s getting stronger. It already has the strongest army, and from the point of view of Germany’s neighbours, this is a worry and a menace. Of course, from the point of view of Germany, it’s surrounded. So you have a very bad situation where both sides see things in their own way and they’re not seeing how the other side would feel. But I do think German policy was reckless in some cases. Letting the reinsurance treaty with Russia lapse was a mistake. And it shouldn’t have been that difficult. I mean, the two countries had a lot of synergy. TV: Something you seem to be very aware of writing the book is walking the line between ascribing too much importance to individuals and ignoring them completely, and saying they’re caught up in great trend of history that no one could possibly have done anything to change. And then you leave, with the very last sentence in the book, with, “There are always choices.” You also say, “context is crucial.” So my question here is, do you see there being real choices, or is there the illusion of choice in a context that makes one path inevitable or almost inevitable? MM: I think circumstances make certain choices more likely than others. I think you can’t expect people to make choices where they don’t have a clear choice. I think people work within a framework. So there are certain givens within that framework, but even then I think there are choices, particularly war. If you choose to go to war with someone else, there is a clear element of choice. It’s one of the great choices that is made in human history. So I don’t think things are inevitable. I think people are confined within certain parameters as to the choices they can make. If you’re Germany, you can say we will either dominate our neighbours through our undoubted military supremacy and through our economy, or we will dominate them in a peaceful way, and that was a very clear choice before Germany in the period before 1914. There’s a German industrialist who says in 1914, we just need to wait and sooner or later we will be economically dominant, which would bring with it political influence and so on. And that’s what Germany has chosen to do since 1945. Germany has very consciously chosen not to be a military power. TV: A distinction has been drawn between three strands in history right now. First, you have what’s called “political history,” that’s kings, presidents, wars, treaties. Then there’s “social history, ” which is the history of how people lived in the past. And third — and this category sometimes overlaps with social history — there’s a history that’s written in opposition to the traditional account of how things happened, which was written by the people who were in power. First, do you agree with those rough distinctions? MM: I don’t think I would ever make as clear distinctions as those. I don’t think they even exist in the past. I mean political history cannot be separated from political sociology, which means it can’t be separated from the nature of society. And the sorts of things that people argue about, the sorts of things that are called political divisions, very much reflect what’s going on in society. I don’t like, and it does happen in history, people who think exclusively in one term or another. I think the whole thing about history is that it’s eclectic. We don’t look narrowly at one particular subject. I mean, if you’re doing a history of technology, you can’t separate that history from a history of society, values, and power structures. Why are certain things invented and other things aren’t? Why are certain types of science pursued and others not? Those choices reflect the nature of the society and power structures. TV: In light of that, there’s been some discussion on this campus that there is a dominance of social history in the course offerings. You’ve taught here. Do you see that happening? How do you fit the different piece of that eclectic picture together in that way that you teach history? MM: You can teach courses with different emphases. If you looked at history, for example, of the changing position of women in Canadian society, you’d presumably not be able to do such a history without the economic history of Canada, without looking at the political structures, because changes in society often are a result of political pressures, or political decisions, or changes in the law. I suppose the sort of history I like is one in which we don’t compartmentalize it too much. I think there’s a tendency among people who do one kind of history to caricature the other. I think we do ourselves no service by that. I think we learn from each other and come at it with different emphases, but I think if you start ignoring a whole big chunk of what makes societies tick, you’re not going to get a whole picture. TV: In your 2013 Hagey lecture you mention that public opinion was becoming increasingly important before World War I. Of course, public opinion is even more important now. You spoke recently to the CBC about what Canada’s government is doing to the history of the War of 1812. What do you see as the most troubling uses of history going on around us right now? MM: You get claims being made. I mean, the Chinese are now claiming islands in the South China Sea, or they claim Tibet, on very dubious historical grounds. So I think that’s where history can be dangerous. Or you get history called into the use of various ideological movements. You can see it with Islamist movements, where you get a vision of an Islamic past which was absolutely blissfully happy and everyone lived in harmony, and then the crusaders came along and ruined it all, and we need to recover that past. I think this can be extremely dangerous. Because it doesn’t just unite people around a grievance, it also gives them justification for attacking people who aren’t like them. History can be a very powerful and dangerous tool. TV: Anything closer to home? MM: You’ve got, of course, the Canadian government trying to portray or promote a view of the War of 1812 as a struggle of Canadians against Americans — when it wasn’t. It’s anachronistic to say that there was a fully-fledged Canadian identity and consciousness in those days. These were people who lived in Canada, some of whom were of British descent, some of whom were of French descent, very recently American, or Aboriginals. I mean, the recent commemoration of the War of 1812, at least at the official level, seems to have left out the Aboriginal contribution. It was much more complex, and I think we could recognize that. There’s also been talk, and again it seems to come from the Conservative sections of Canadian society, that Canada is a nation made in war. I suspect this will come out again in the commemoration of the First World War. Vimy ridge is clearly going to be a big thing. Yes, war has been an important part of Canadian history, but I don’t think we’re a nation made by war. I think, on the whole, we’re a very peaceful nation, and we’re made more by peace and peaceful evolution than by war. TV: You’ve also said history shouldn’t be left to amateurs. Are students amateurs? MM: No, I don’t think students are amateurs, and if I were doing it again, I wouldn’t put it like that. Because a lot of people took me to mean that only people who have professional history degrees count as professionals, which is not what I meant at all. What I meant was that history has to be done by people who respect the use of evidence, who are prepared to deal with uncomfortable evidence, not just ignore it. What I mean by amateurs is people who write about the past in a lazy sort of way, without really informing themselves about it. And if there’s evidence that doesn’t fit whatever thesis they have, they ignore it or explain it away. So no, I don’t think students are amateurs. If you write bad essays then I’d say you’re an amateur, if you write good essays then I’d say you’re doing it as a professional. TV: In your Hagey Lecture, you said that 32,000 works have been written in English about the First World War. What’s your reaction to people who assume that there’s no more to say on this topic? MM: My reaction is that there’s always something else to be said. Because history changes as we change. TV: In the LRB review, which was generally very positive, the critic described your book as “magisterial.” How does it feel to be a historical authority? MM: Well, you don’t feel it. You don’t feel like a historical authority. I’m always aware of how much I don’t know. But I suppose I know more than I used to. And I know more about certain subjects than other people. But magisterial sounds terrifying, it sounds like someone with a long grey beard, looking like a Michelangelo painting of God, saying: “This is the past.” I know he meant it kindly, but you always feel you never know it all. Although I know more than I used to, I suppose. Then I’m also forgetting more. This year marks the first year that Carleton University, Brock University, MacMaster University, and Western University will be providing their students with a fall break. The trend of introducing a second break in the school year comes in part from student leaders demanding an additional period of mental rest, similar to the reading week that already exists in the winter term for undergraduate students. These four universities contribute to a total of 11 out of Ontario’s 20 publicly funded universities that now have the second break. Within the city of Toronto, York University provides three days, and Ryerson University provides a full week . While an increasing number of schools seem to be adopting the concept, the lengths of the breaks vary between universities, and even within U of T’s own three campuses. U of T Mississauga (UTM) has no designated break at all, whereas U of T St. George (UTSG) has a two-day break, and U of T Scarborough (UTSC) receives a four-day break following Thanksgiving Monday. According to both the University of Toronto administration and the University of Toronto Students’ Union (UTSU), many studies have shown that a fall reading week boosts the morale of students and offers relief from the “pressure cooker” environment of university. For this reason, an increasing number of universities are implementing a fall break. But why not five days instead of just two? Ali says that the two-day break was created to enhance the student experience, and that two days is enough to achieve a boost in student morale. The two-day fall break originated in 2009, when the university’s administration reformed its previous five-day policy. Dominic Ali, a media representative for the university, stated: “The changes that took place in 2009 allowed students to better prepare for their exams by having more time to meet with professors, review material, or hold study groups. These changes also allowed the summer session to have the same number of instruction weeks as the fall and winter session.” In essence, the university’s argument is that the two-day break is a compromise to allow for mental reprieve and time to catch up on work while aligning the summer, fall, and winter sessions to the same time frame. The UTSU also cites studies that show that a five-day fall reading week would be particularly effective in improving students’ mental health and general happiness. It was, however, unable to provide the specific studies in question. When asked why UTSG does not have a five-day, Ali did not give a reason, but cited the changes that occurred over the years, saying: “In 2009, a two-day fall break and a two-day December study period were introduced that parallel the breaks in second term, plus a commitment to end the fall/winter session by April 30. Consequently, the April study week has been reduced to a two-day study break.” By implementing a two-day fall break, the administration has therefore cut down the amount of study time available for students in the winter term between the end of classes and the beginning of exams. Ali did not comment on why it was deemed necessary to have a full week break in the winter, but not one for the fall term. Question: How do you feel about the length of U of T’s mid-term break this year? Build new structures, or renovate? The parking lot on St. George Street behind Convocation Hall will soon be covered in scaffolding, with work on the Faculty of Applied Sciences and Engineering’s Centre for Engineering Innovation and Entrepreneurship (CEIE) scheduled to be completed in late 2016. U of T’s $2 billion Boundless campaign aims to fund a large number of new buildings and capital projects, including building the Centre for Engineering Innovation and Entrepreneurship, the expansion and renovation of the Faculty of Law, and the renovation of the north building at UTM. 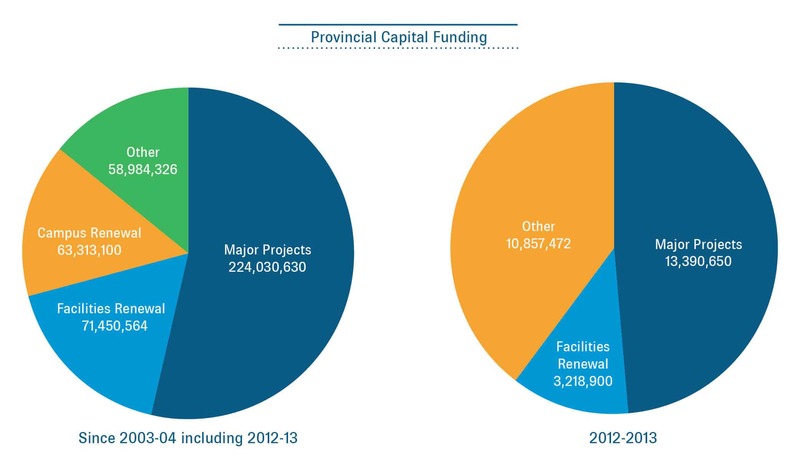 Some university figures, however, have suggested that the way the university tries to attract donor contributions and provincial funding structures for capital projects incentivize building new over maintaining the infrastructure the university already has. This could be problematic, as buildings in need of repair go ignored while funds are diverted to new construction. The Engineering Society (EngSoc) has contributed $1 million towards the costs of the building. Rishi Maharaj, former president of EngSoc, says the money came from the Skule Endowment Fund, set up in 2010 to establish a permanent endowment for the society, with the aim of eventually replacing the society’s annual fee and the student contribution to the faculty’s operating maintenance budget. Engineering students contribute $100 a year to the fund. “One of the provisions was that the capital could potentially be spent for something major like a new building,” he explained. Direct student contributions to capital projects like new buildings show a sense of ownership and an acknowledgement that students benefit from these projects, said David Palmer, U of T’s vice-president, advancement and the person behind Boundless. Palmer said that voluntary one-time donations — as opposed to the referendum-supported levy, used to partly fund the Goldring Student Centre at Victoria University, for example — are also a great motivating tool for donors. “That type of student giving is one of the most powerful incentives for donors and alumni to give,” he explained. Tamer El-Diraby, an associate professor in U of T’s Department of Civil Engineering, says that the university’s focus on new building is partly pragmatic. “There is no politician that I am aware of that wants to cut the ribbon for the renovation of a building instead of placing the foundation stone for a new building,” he said. Palmer admitted that donors often have a similar attitude. “Deferred maintenance is often seen by people as the responsibility of the system, of the university, to maintain things correctly,” he explained. 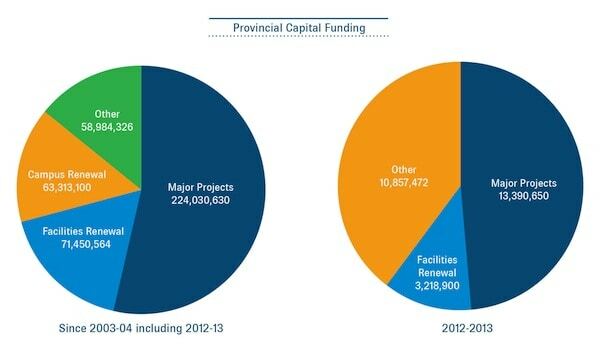 “I have never had much success in going to a donor with a pitch to have their funds allocated towards deferred maintenance.” Last week, in responding to questions about deferred maintenance, the university administration indicated that it believes provincial funding levels are currently insufficient, and that it is lobbying the Ontario government on the matter. Enrollment at the university has increased significantly in recent decades, with the total number of full-time students at U of T growing from 55,127 in 2000–2001 to 80,899 in 2012–2013. Michael Kurts, assistant vice-president of strategic communications and marketing, said in an email that “demand for PSE has increased due to population increases combined with increasing participation rates,” leading to a growth in enrollment. These new students need new space, faculty and infrastructure. “U of T cannot say to students, ‘We will not have classrooms for you.’ We cannot say to a chair of a department, ‘We cannot have a secretary for you.’ We cannot tell students, ‘We will not have professors to teach you,’” said El-Diraby. The result, he said, is that maintenance gets deferred because it is the only cost that can be delayed. What are the implications of this system? The university’s Governing Council and Business Board approves capital projects, including new buildings and renovations. The Business Board meeting on Monday, November 4, will include the university advancement division’s quarterly report on gifts and pledges above $250,000. Engineering director Pierre Harfouche’s three motions were not approved at Tuesday’s University of Toronto Students’ Union (UTSU) Board of Directors meeting, effectively removing opposition motions from the agenda of the upcoming Annual General Meeting (AGM). The first of Harfouche’s motions called on the UTSU to support the stance of fee-diversion-seeking divisions at the Student Societies Summit. The third was a charter amendment that would allow a division within the university to decide by an intra-division referendum to divert fees from the UTSU. Harfouche’s second motion called for the appointment of new representatives from the union to the Student Societies Summit, the focus of which is the questions around fee diversion. This motion was similarly ruled out of order on the principle that it seeks to undermine the university administration’s stance against the changing of Summit members. This position has been acknowledged by other members of the Board of Directors, though Yolen Bollo-Kamara, vice-president, equity, and one of the UTSU’s representatives at the Summit, was unavailable for comment. Harfouche said he was happy to be present at Tuesday’s meeting. According to Harfouche, the last occasion when his motions were discussed, he was not informed of the location, time, or even that his emails had been received by the union until after the meeting had taken place. Harfouche outlined the timeline of his exchanges, saying; “On Monday, I submitted the motions, on Wednesday, I emailed the UTSU asking them to confirm again, and on Friday I finally got a response that they had seen them. What they didn’t tell me was that a day earlier at 9:00 am they had already had a meeting and already ruled them all out of order.” He says he was told after the fact by the UTSU that he would have had to ask to get details of the meeting, “and I was like, ‘well why didn’t you tell me about it,’ and they said ‘oh you’d just have to ask’ and I was like ‘well, how am I supposed to know?’” The UTSU commented that since Harfouche attended the Policy Town Hall, where procedures for submitting motions were outlined, it was expected that he would be aware of the union’s policies. Harfouche’s concerns about communication are echoed by Aimee Quenneville, who represents University College on the board. Quenneville said that in order to gain any information about the Student Societies Summit at any point so far, she has had to ask the executives directly. “We have not been informed at all,” she remarked. “I didn’t even know that the Student Societies Summit was taking place at all, and I was informed by the vice president of the University College Literary and Athletic Society. That’s how little we were told.” Quenneville also gave credit to the executives who have been trying to make the UTSU more transparent and accessible, but added that information has not always been forthcoming, especially considering the comparatively small number of members of the Board of Directors. Even so, Crase does not see the AGM as the setting for questions of fee diversion. “It is a question that should be answered by an open and democratic referendum process held by the constituency in question, recognized by the University as outlined in University policy,” he wrote to The Varsity. The UTSU was pleased with the outcomes of Tuesday’s meeting, and said that the executive is looking forward to the AGM. The University of Toronto Students’ Union (UTSU) held a series of events over the past two weeks to raise awareness of marginalized voices on campus. The semi-annual Expression Against Oppression (XAO) was hosted by the Social Justice and Equity commission — one of five divisions within the UTSU — which is responsible for the planning and execution of six anti-oppression events spanning from October 21 to 30. This year’s XAO was held in conjunction with many different student groups that worked to not only enable a variety of perspectives, but to draw additional interest beyond social justice and equity. Each event collaborated with one other organization, including the African Students’ Association (ASA), Health and Wellness, LGBTOUT, Brazilian Culture in Canada (BRAZUCA), and the Community Safety Office. The first week started with a women’s self-defence workshop, followed by VisibiliTEA, an evening of tea and crafts, along with a discussion surrounding the implications of queer women’s visibility on campus. The second week included a Brazilian martial arts workshop, a film screening, and a five-dollar lunch. The film screening of Venus Noire told the story of Sarah Baartman, a South African woman infamously exhibited in a 19th century freak show in Europe because of her “exotic and unique” sexual features, such as her large buttocks and elongated labia. The film chronicled Baartman’s life as she struggled for independence in a newly abolitionist society. The screening was coordinated by Bollo-Kamara and ASA president Vanessa Jev, who was inspired to share the matter after seeing the film in her French culture studies class. Another highlight of this semester’s events was the five dollar lunch at Hart House, which focused on raising mental health awareness on campus. The UTSU partnered with U of T’s Health and Wellness Centre, as well as other related student groups, for a resource fair that aimed to provide support and information on mental health issues. 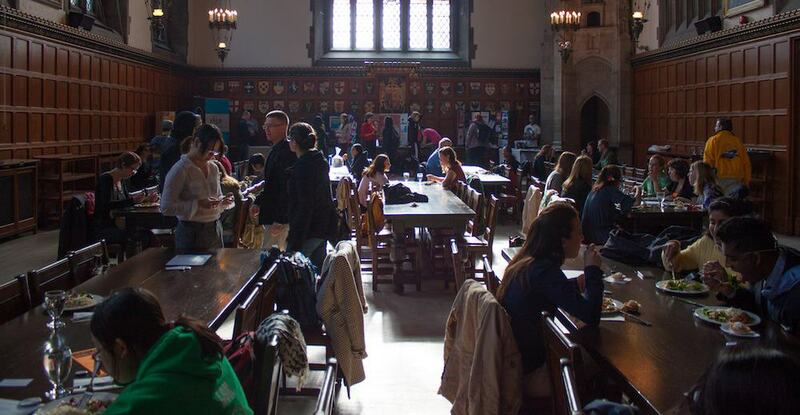 In the hall outside the lunch, many students had the opportunity to engage with representatives from student associations such as Peers are Here, Powerful Minds at U of T, Active Minds at U of T, and Let’s Talk Health. The lunch itself attracted many students who hadn’t heard of the XAO event itself, but showed interest in the presentations at the front of the Great Hall. “The lunch is a great price and it will definitely attract lots of people to find out about new activities and groups on campus,” said Tracey Zhao, a third-year economics student. The main goal of this semester’s XAO events was to eliminate the stigma surrounding various social issues, and to foster a more inclusive environment both on and off campus. A sombre procession of 20 people gathered around the University of Toronto Students’ Union (UTSU) office building at 11:30 am on Wednesday, October 30. 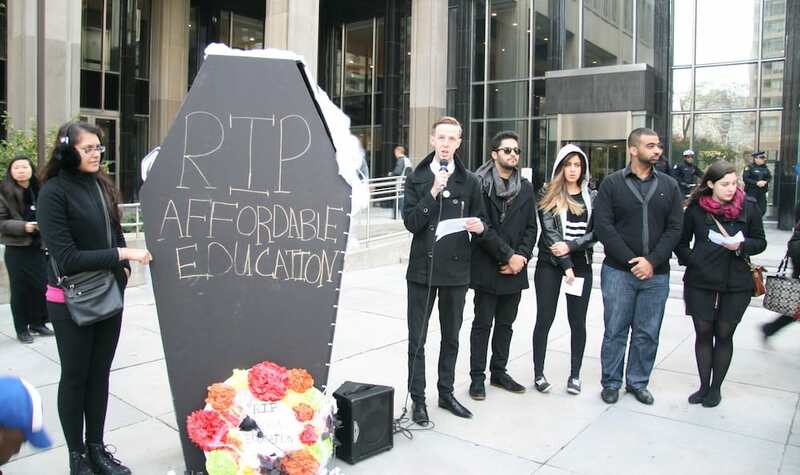 Dressed in black, representatives from universities and colleges across the Greater Toronto Area (GTA) and the Canadian Federation of Students Ontario (CFS-O) staged a funeral for accessible education, as a part of the Hikes Stop Here campaign. The campaign objects to rising tuition and the new four-year tuition framework advocated by the Liberal provincial government. According to the CFS-O, tuition fees have risen by as much as 71 per cent since 2006 and may rise by 108 per cent in the next four years. The campaigners point out that other provinces, such as Quebec or Newfoundland, do not follow such policies on higher education. In these provinces, student participation was able to guarantee either the tight regulation or the freezing of tuition fees entirely. Anna Goldfinch, national executive representative of the CFS-O, explained: “As students in Ontario, we pay the highest tuition fees in all of the country. Today we are using Halloween as an opportunity to call attention to the fact that we believe that accessible and affordable post-secondary education in Ontario is unfortunately dying.” The CFS-O claims that by their fourth year of undergraduate studies, an average student’s personal debt amounts to $37,000. After picking up a cardboard coffin and a paper floral reef, the mourners proceeded down Wellesley Street to the Ministry of Training, Colleges and Universities building. There, students gave eulogies in which they addressed their concerns over the rising cost of university, and how this issue affects them and the wider student community. “By the time this government term will finish, the Liberal Party will be responsible for doubling tuition fees in Ontario,” said Alastair Woods, CFS-O Chairperson. Many others expressed their concern about not being able to pay for their education, and how this issue may prevent certain groups — including Aboriginal, immigrant and international students — from pursuing higher levels of education. The purpose of this event was to attract greater media and government attention to this issue. The various student bodies plan on working together in the future to organize similar actions. They also encourage other students to get involved with their unions to raise awareness of the problems that their local community is facing.